Δελτίο τύπου: «Born out of the emerging metal scene of Calgary, AB, Red Cain is a modern melodic metal project with European roots. With intricate songwriting, a heavy yet melodic feel reminiscent of progressive acts, and eerie ambient elements, Red Cain champion a fluid, dynamic, and unique musical style centered around telling dark, conceptual Faustian sagas and constructing those into an unforgettable live experience. Described by frontman Evgeniy Zayarny as wanting to bring back the "Devil's music" mysticism all too often missing in modern metal acts, Red Cain delivers flair, groove, and an intricate, lethal edge in their music. Listeners might well pick out elements reminiscent of such luminary acts as Kamelot, Symphony X, Tesseract, Draconian, Marilyn Manson, whipped into a venomous new shape. The current incarnation of the band is all of these influences mixed with a lot of vodka and Eastern European melancholy, shaken and stirred. Unleashing their self-titled EP in 2016, Red Cain are returning in 2018 with a debut full length entitled "Kindred" planned for later release this year. 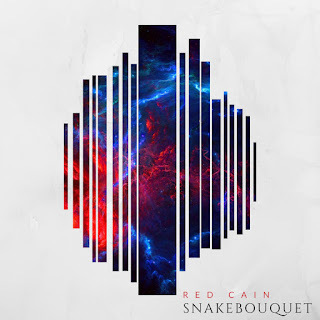 Red Cain released its debut self-titled EP in November 2016 to rave of excellent reviews from a variety of publications such as Dead Rhetoric, MetalUnderground, and Firewind magazine, among many others. Red Cain's first single Hiraeth had the honour of winning Metal Recording of the Year at the 2017 YYC Music Awards. The band has a strong emerging fanbase around the world, being named one of the top 200 bands of 2016 by Headbangers Latinoamerica and the EP's cover art selected as one of 2016's 15 best by Metal Underground.